Here's a quick guide how to disable the metadata update form you get after uploading an image to an image library. "The document was uploaded successfully. 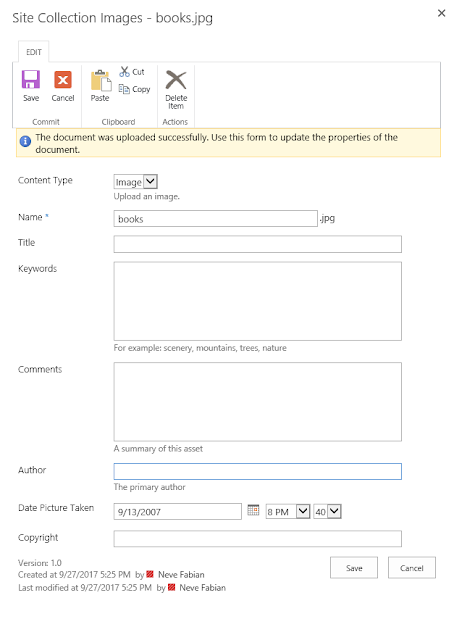 Use this form to update the properties of the document." 3. Close the page by clicking on "Stop Editing"
You won't get bothered anymore by the annoying update form. 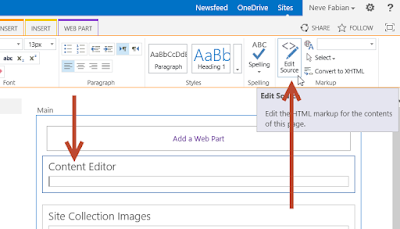 Works with SharePoint 2013 and Site Collection Images Library. This only works fine if you are uploading images to a library directly. Insert a picture inside a page. 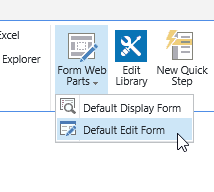 At the form you want to skip, open the developer tools (F12) and the DOM Explorer. Get the code behind the "Save"-Button. Now go back to the top of this article and use this code for the content editor webpart. Unfortunately, this code contains unique IDs, so you can't use it globally for all Image Libraries in your farm. You have to get the IDs for the PostBackOptions for every single Image Library.